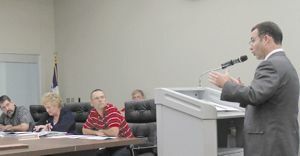 CROSBY  A Special Called Grievance Hearing of the Board of Trustees of Crosby ISD was held May 23 at 6:30 p.m. at the CISD Operations Center to hear a Level Three Appeal by Dr. Ernest Cap Roder III. At issue was his contract not being extended by Crosby ISD as Vice Principal at Crosby High School. Ninety three people not called into closed session to testify appeared at the meeting. Originally a quorum of five was in attendance, later Kasprzak and Eagleton attended in closed session. An attorney and Court Recorder also attended the closed session with the Principal of Crosby High School and Mr. Roder. The attendees sat until 9:43 p.m. until the Board returned, it was then in open session that the Board voted. Kasprzak moved that the Level 2 Decision be upheld however he recognised in his motion that the Superintendants recommendation that he be allowed to move to another Assistant Principal Position within the school district with full opportunity to develop his career. The motion was seconded. The vote was 6 votes for and JoAnne Crawford against. The attorney asked for clarification of who had opposed the recommendation. Then the meeting was adjourned. HIGHLANDS  The historic remembrance of those that have served their country continues here in a solemn ceremony on Memorial Day at Sterling-White Chapel and Cemetery, the service grows larger in attendance each year and increased in poignancy this year, as a veteran of the War on Terror in both the Iraq and Afghanistan fronts spoke from his convictions and patriotic fervor. The Memorial Day Service this year began with the Crosby JROTC placing a Memorial Wreath at the Wall of Honor inside the cemetery and especially created section for those that have served their country in the military. Flags of each branch of service fly there. A Color Guard was performed by Boy Scout Troop #107 with grace as Old Glory was raised on high and lowered to half staff. Jeff Moore and his son lead the pledge of allegiance and Jeff welcomed the crowd to the elaborately patriotically decorated Avenue of Flags. The flags not only displayed Old Glory in quantitative array throughout the cemetery in the center flew all the flags that have represented this country from colony, revolutionary, Articles of Confederation to first Constitutional Republic times. Captain Rodney Reed spoke with an incandescent sensibility that evoked empathy from even the most hardened, as one that has seen the realities of the unimaginable horrors, retrieving from that duty honor. His talk feted the struggle still ongoing even as it becomes incipient that many tire of the sacrifice. Reed was followed by Pastor Jerry Hovater of the Little Country Church, New Caney and Crosby who in a oration that matched the theme of Reed was rounded and full. Don Guillory, for the David H. McNerney American Legion Post 658 recited the names of those who were laid to rest in Sterling-White Cemetery this year, as family members answered of their presence. 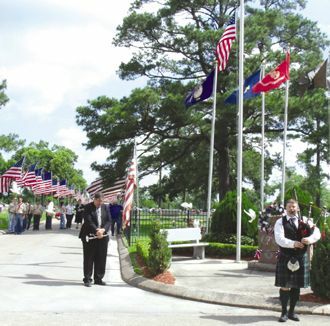 Taps was played by Craig Zlutnik and Pipe Major Tom OBrien played Amazing Grace on bagpipes as Houston Dream Doves released a drove of doves. Next R.A. Mayfield did a quick presentation from Sampson Masonic Lodge in Highlands. CROSBY  A little guy won over some big ones last Friday and got a wish fulfilled before he had to go to the Medial Center in Downtown Houston for Chemo-therapy. So, Crosby Volunteer Fire Dept. 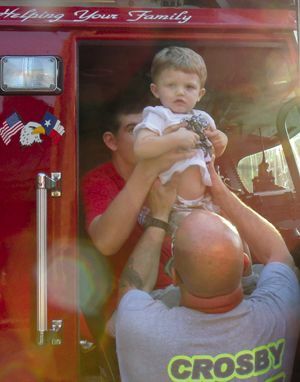 made sure that happened and Dominic got to ride the biggest fire truck in the District. CROSBY  At last weeks Crosby ISD board meeting, the returns of the bond elections having been canvassed and the plan for finance and sale of the bonds has begun in earnest. The school board is moving with deliberation and thoughtfulness. One of the prime finance specialists for Southwest Securities was advising the board on May 20. Not all of the bonds will be sold at once and the money demand will take place as construction demands. The construction is expected to take place over a three year cycle. The board also called Coach Jeff Riordan to the podium to talk about the needs of the high school stadium for a new turf. A plan was approved to replace the turf and keep as much field for practice meanwhile, on a 7 to 0 vote. The board voted to solicite a program manager or program management firm for the provision of professional services in connection with the districts construction projects. In other business the board took careful review of the Curriculum Department especially on the subject of Spanish and will offer new courses, eventually. Northeast Harris County The only bond initiative or sales tax increase to fail in the Greater Houston Area was Lone Star College. All questions of local tax increases were passed affirmative, mostly to their maximum. So, taxes in Goose Creek Consolidated ISD, Crosby ISD, and surrounding areas will be increasing. The HCESD#4 for the Huffman Volunteer Fire Dept. obtained a 1% increase bringing the sales tax to the maximum 8.25% per dollar purchase. Lee College got a tiny bond for renovations that adds up to 1.75¢ per 100 valuation. The results are among all agencies reporting, the agencies reporting being the agencies to benefit from the increases are overwhelmingly for the tax increases. The Crosby ISD Bond for $86.5 M passed with 777 for votes to 687 against, unofficially, the official vote awaiting the canvasing of votes at the Crosby ISD Board of Trustees meeting on Monday, May 20. So a new Crosby High School will begin building in 2016 behind the Wal-Mart, new stacking drives will be added to Barrett Primary and Newport Elementary and a bunch of renovations will begin. Goose Creek Proposition 1 had 1,857 votes for and 758 against the $177.6 M bond. The second proposition had 1,855 for votes and 748 votes against the $89 M renovation and security improvement initiative. The second proposition had two less votes for it and 10 less votes against it. A $100,000 home will see increases of about $97.80 per year for renovations of three high schools, three new buildings including an expensive technical center and a modest transportation center. Lee College had an overwhelming 72% approval within Goose Creek CISD for a $40 M bond to renovate and upgrade facilities, a working training center, some infrastructure and remodeling. Some 2, 565 votes were cast on the bond, 1,865 or 72.7% were in favor and 700 were against or 27.29% against. The Regents at Lee College had decreased the tax by one cent last year so the real increase will be about .75 of one cent per $100 valuation. HCESD#4 the representatives for the citizens of Huffman for Harris County overseeing the Huffman Volunteer Fire Dept. obtained at vote for a sale tax increase with 21 votes for the proposal and 14 against. Two voters went into the booth at the Huffman Volunteer Fire Department and did not vote either way. The Board will meet to approve the vote and canvas ballots on May 20 at 6:30 p.m. Questions are directed to Amber Jackson at 281-797-5732. CROSBY  The David H. McNerney American Legion Post 658 presented their Leadership Awards this past Thursday to one student, one teacher, one fire fighter, one lawman and one preacher. Awardees, their families, their parishioners and friends attended the ceremony at the Legion Post for a ceremony in which the men that have served their country bestow tokens of their appreciation for Community Leaders. The best of each categories are recognized in their categories from young leader to mentor from hero to champion and recognition of those that take up the cloth in the spiritual battle. For these categories a young woman that demonstrated the abilities that America needs. She was called the true future of the United States by Commander Boyles. 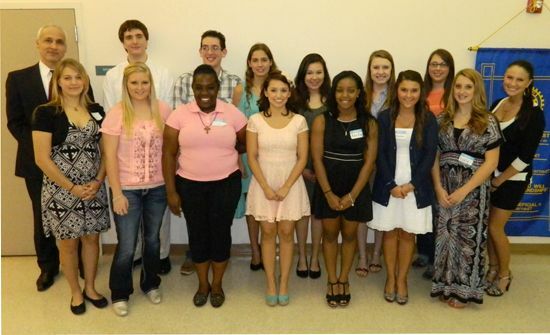 Crosby High School Senior Rosaline Curb was honored as Leadership Student. 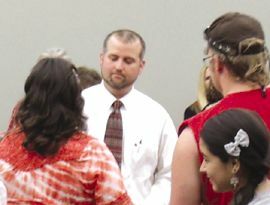 The teachers in Crosby ISD chose Raymond Blanchard as best representative of teachers at Crosby ISD. Russell White was choice for Firefighter Leadership not only for his dedication, training and demonstration of courage but also for the constant training and volunteering to excel in the profession. Even for the Leadership Award Russell White was called away to serve Texas 1 the elite firefighter unit for this August State. Lieutenant Ricky Larkin was recognized not only for his selfless dedication as a law enforcement officer but also for his perpetual involvement within volunteer organizations. Rev. Dr. Larry Koslovsky was recognized for his calling, dedication and practice of ministering. He is known to all as Brother Larry. He entered the ministry 30 years ago. His history includes years in the 1980s as an outreach minister and his active support of local, state national and international mission efforts. HIGHLANDS  The Rotary Club of Highlands presented 18 students with scholarships last Tuesday evening at an awards banquet, held at the Community Center. 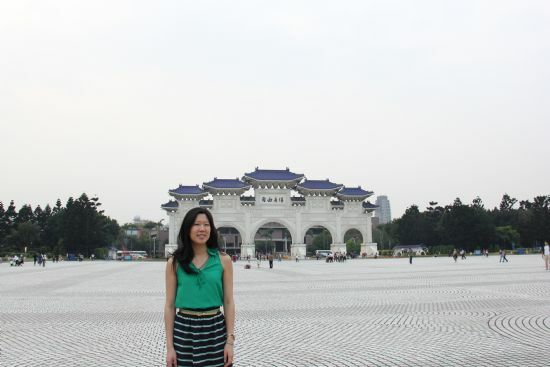 The scholarships, in amount varying from $1500 to $2500, totalled $30,000. The money was raised at community events, especially the Chili Feast held annually in February. The keynote speaker for the evening was the superintendent of the Goose Creek schools, Dr. Salvador Cavazos. With wit and wisdom, he spoke to the students and the audience of parents and Rotarians about his life, and early childhood with five siblings, viewed as a novel that is only half done, and his early lessons of Perseverance, Passion, and Plan that should guide our life. He said that after spending 13 years of his life in college, he learned the purpose: to Create a new Reality. He said that Education is a Life Changer. 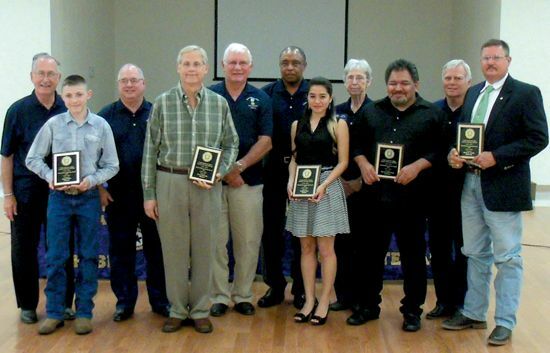 The Scholarship Awards were under the direction of Rotarian Dr. Larry White, assisted by a committee of nine other Rotarians who reviewed 68 applications and recommended 18 awards. Criteria were academic achievement, need, extracurricular activities, work ethic, and intangibles (such as essays or other presented materials). At the conclusion of the ceremony, presided over by Rotary president Dane Listi and Dr. White, the audience was encouraged to comment on the evening, and Rotarians spoke about the club and the scholarships. In May 2012, Cody Stephensdied of sudden cardiac arrest. Although he was a robust 69 289 pound 18 year old athlete at Crosby high school, he died at home sitting in a chair. He had no known heart defect, but an autopsy pointed to an enlarged heart as the probable cause. In the year since, the grieving family has vowed to help others avoid this personal tragedy. In an emotional presentation at a local Rotary meeting, Codys father, Scott Stephens, explained that a simple and inexpensive EKG test (electrocardiagram) can detect heart abnormalities that can be investigated further and treated successfully. Stephens has enlisted the aid of State Representative Sylvester Turner, and currently the legislature is considering HB 1319, which calls for this screening EKG test to be added to all student pre-athletic exams, at the modest cost of about $15. Stephens has asked the legislature to pass the bill, to save lives and to bypass the state UIL Medical Advisory Committee, which has been reluctant to act on this matter. Stephens says that over 2000 students die each year from cardiac arrest, and these could be detected and avoided with proper screening. The UIL committee says that there are too many students in Texas, and the cost as a whole would be too much. As a parent that has lost a child, Stephens is passionate about his cause. He has established a foundation, Cody Stephens Go Big or Go Home Memorial Foundation, to raise money for telling the story, and paying for some of the screenings. Go Big or Go Home was Codys favorite saying, and his philosophy on life. Live it to the fullest, give it your all. Stephens cites many doctors locally and nationally that agree with his cause. He also tells the story of one school district, Huffman ISD, which has added mandatory EKG screenings to their pre-athletic physicals, with remarkable success. In the first year, they found a student, Chris Aguilar, with a defect, and sent him to Texas Childrens Hospital for treatment. He underwent 12 ablations to correct an abnormal heart, and was in surgery for 7 hours. Today he is back to normal, playing football and serving on the volunteer fire department to the fullest. This would have not been possible without the screening, and he might have died instead. Stephens has approached individual school districts, such as Huffman, with a request that they include the EKG test in their program. He is also negotiating with Houstons Methodist Hospital to add the test to their standard high school athlete physical exam. Although the cost is minimal, about $15, there has been some resistance to the idea, even though it is clear that lives are at risk. Methodist is considering a two year pilot program for use in Harris County. They point out that they currently have a cardiologist on hand for student physicals that they perform, and if indicated by preliminary tests, they order more checks including an EKG. For this reason, Stephens believes that the statewide application of the test, if authorized by the legislature, would be the best for most all athletes and their families. Stephens urges you support Codys Law — House Bill 1319 and ask your representative to do the same. More information is available at www.codystephens foundation.org. AUSTIN/HIGHLANDS  Two bills have been introduced in the State House that could impede Harris County from employing private lawyers to help sue for pollution at the San Jacinto River Waste Pits. The Waste Pit case is before the Texas First Court of Appeals. Attorneys for the two corporations have filed briefs challenging Harris Countys right to hire contingency fee lawyers in the San Jacinto Waste Pits case about dioxin-contaminated site along the San Jacinto River. The companies representatives argued the arrangements created a profit incentive and would therefore be unfair to their side because the prosecution would not be neutral. The corporations being sued over polluting the Waste Pits here have contracted some high dollar attorneys to avoid the penalties Vince Ryan, Harris County Attorney would hit them with for the cleanup of the San Jacinto River. Anytime you have Bracewell & Giuliani and the former Chief Justice of the Texas Supreme Court on the front row you have expensive representation. Harris County cant afford what they are spending on lawyers. Weve got contingent fee lawyers, says Terry ORourke, the countys special assistant. Those corporations got some help in the Texas Legislature this week when Cindy Burkett, R., District 113, out of Garland, just East of Dallas, introduced HB 3119 and then there was HB 3117, that would restrict County Attorneys in pollution cases from hiring private attorneys on a contingency fee to benefit the prosecution of those cases. 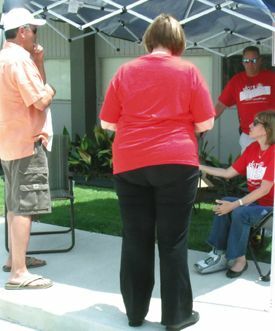 When the Star-Courier contacted Burketts office in Austin we were disconnected then when we called back and waited, they did not respond by deadline to questions about what was her intent on filing the bill. Harris County then has discerned that hiring a private law firm on a contingency fee basis is going to be beneficial in prosecuting the suit. But that employment in the multi-billion dollar dioxin case would be outlawed in pollution lawsuits if the two bills were passed. The House Committee on Environmental Regulation delayed consideration of HB 3119 by leaving it pending on April 16 and its companion bill 3117 has sat without any committee action. The group argues contingency fee deals encourage private firms to enrich themselves at the expense of adequately funding the cleanup of toxic sites. Harris County Attorney, Vince Ryan told the Crosby-Huffman Chamber of Commerce that contingency fee arrangements are vital to its efforts to litigate pollution cases. Ryans office points out that contingent fee contracts are reviewed and approved by the Texas Comptroller and are governed by state law that caps payments according to the amount of work performed. Lawyers for the companies argued in court that the case could result in $2 billion to $3 billion in civil penalties with 25 percent going to the private lawyers, according to coverage of the hearing by Law360. In 2003, a new law took effect (SB 1265) that now requires local environmental enforcers to first submit a potential criminal case to the Texas Commission on Environmental Quality (TCEQ.) The commission is then supposed to review the case and determine if criminal prosecution is warranted. Harris County officials have said theyve had to make environmental enforcement a priority since the the county is home to an enormous petrochemical complex and (outside of the Alamo) the San Jacinto Memorial Park is the largest tourist attraction in the State, there the waste pits have made the San Jacinto Rivers fish inedible. 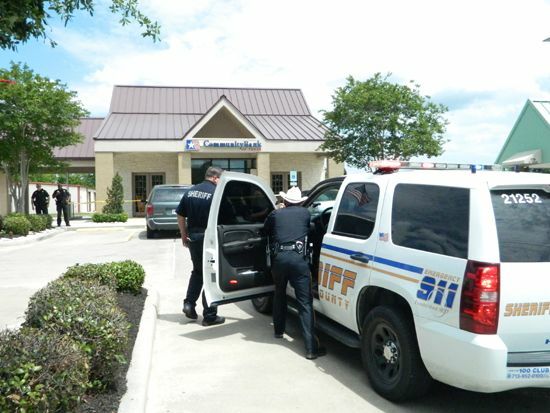 CROSBY  At 1:37 p.m. on Tuesday, local businessman David Ramirez was driving up to Crosbys CommunityBank, when he observed the beginning of an armed robbery, complete with a gun battle, escape, chase, and eventual capture of some of the perpetrators. He called 9-1-1 and within a few minutes Sheriffs deputies showed up on the scene, thwarting the heist. The first robber entered the bank with a gun, disguised with a hoodie over his head. As the tellers handed over an undisclosed amount of cash, a silent alarm was tripped, and the Sheriffs office responded with a convoy of at least eight patrol cars speeding through Highlands toward Crosby. In the meantime, a deputy driving past the bank observed the men in unusually heavy hot clothing, and sensed something was wrong. These two men had been observed in the parking lot across from the bank earlier in the morning, acting in an unusual way, according to witnesses. As the deputy, B. L. Murray, pulled into the bank driveway, the robbers fired at him several times, and he returned fire. Although his vehicle was hit, no persons seemed to be wounded, the Sheriffs office said. At this point, the suspected robbers ran toward the Friendly Ford car dealersip behind the bank. There they stole a black Ford F150 pickup truck that was being serviced, and had keys in it. They exited from the dealership by driving down old US90, Beaumont Highway. Officers pursued the truck, and saw one occupant dropped off at an apartment complex, where he got into another vehicle. A state trooper who had received a description of that vehicle intercepted it, somewhere near John Ralston and US90. Two men were arrested, but the third man escaped. Deputies believe that the man who escaped is the one who shot at the deputy at the bank. He is armed and dangerous, officers reminded the public. Henry Giron, 21, is charged with Aggravated Assault and is being held at the Harris County Jail. Investigators still are looking for the third suspect, only described as a black male in his mid to late 20’s, 5’6″ to 5’7″, with a thin build. The getaway car he stole from a nearby dealership was recovered shortly after the bank robbery. Charges against a third suspect are pending. Anyone with information about the wanted suspect’s identity and/or location should contact Crime Stoppers of Houston at 713-222-TIPS, or the Sheriffs Office, 713-221-6000.